This course is required to maintain driving privileges. 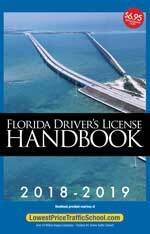 Florida drivers who are cited for any of these offenses will receive a notification from the Department of Highway Safety and Motor Vehicles of your requirement to attend traffic school within 90 days of receiving a ticket. However, it's not necessary for you to wait for the notification. Sign up to complete the course now and have it completed prior to receiving the notification. Our Florida traffic school course will satisfy this mandatory requirement. The course can be taken 100% online or in a classroom, depending on your schedule. Those who take the course online will find it convenient, interesting and EASY to complete. Yes. 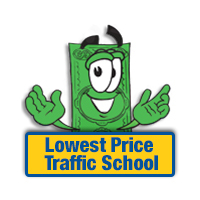 Lowest Price Traffic School traffic school and defensive driving courses are approved in ALL 67 Florida counties by the Florida Department of Highway Safety & Motor Vehicles. Is this the Court-Ordered Course? If you appeared in front of a Judge and were ordered to take this course, this is not the correct course. Please click here. Your certificate of completion will be processed as soon as you complete the course online, and we can send it to you the same day via email or regular mail.